I said it last year, and it's still true that November is one of my favourite months out of the whole year. Our first ski day, first ice skating day, and first winter hike of the season will all happen in the month of November. Shoulder season is definitely tricky but I still LOVE November in the Canadian Rockies, and I'm excited to share my favourite things to do this month with you. This is the only activity I'm featuring this month that will not involve having to touch snow or ice. Calgary finally has an indoor bike park and its doors have just opened as of the end of October. B-Line Indoor Bike Park is located in NE Calgary off of Memorial Drive, and it will be "the place to be" this winter for families who like to spend their summer months at bike skills parks, skate parks, or BMX tracks. I'll be doing a full review in the next week or two, but in the meantime, read below to see what you can expect from a visit to B-Line Indoor Bike Park. A giant foam pit and Resi. The progressive foam pit has 3 different sized jumps going into it, as well as quarterpipes on each side. The Resi provides the next padded step when you’re ready. Kids climbing the walls? It's encouraged at B-Line Bike Park! 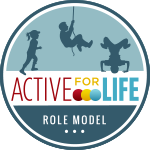 The park is suitable or all abilities and ages with progressive features suitable for young tots on balance bikes up to expert BMX riders. Children 7 and under must be supervised at all times. It is recommended that you either rent a BMX bike or a dirt jumper on site, or that you bring your own bike with you. Regular mountain bikes will work fine in the park, but it is highly recommended that all bikes have hand brakes (rather than coaster brakes.) Adults can also use their own full-sized mountain bikes, but again, would do best on a smaller BMX style rental bike from the park. Finally, helmets are required at all times inside the park. Please visit the B-Line Indoor Bike Park website for full information on hours, pricing, and bike rentals. And know that non-riding parents are welcome inside the park without having to pay. November is one of my favourite months to go away for a weekend because everything is blissfully quiet. It's not quite ski season yet, the Christmas season is still around the corner, and the summer peak travel season is long behind us. 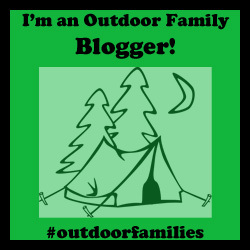 We will be spending a weekend in Spray Valley Provincial Park outside of Canmore, staying at Mount Engadine Lodge this month. The Spray Valley always gets lots of early snow by November and so we're super excited to launch the winter season with some cross country skiing, snowshoeing, and playing in the snow based out of a rustic mountain lodge. Hello paradise! Register for a Yoga Retreat at the lodge on the weekend of November 23 - 26th. Lodging and all meals are included with the retreat. Visit for Sunday brunch and then go skiing or hiking the valley. Drop in for afternoon tea after your winter adventure in the Spray Valley. For more information on lodging, availability, and rates, please visit the Mount Engadine Lodge website. Follow this link for information on winter activities in Spray Valley Provincial Park. 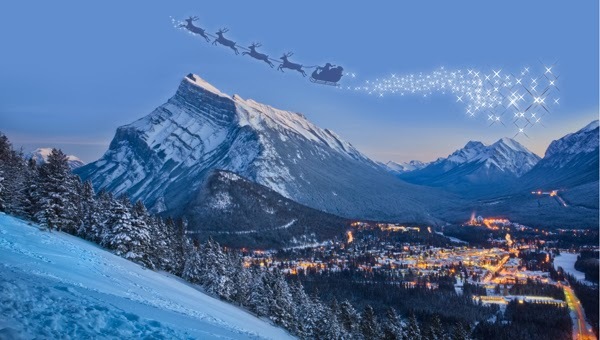 This year, the Banff Santa Claus Parade takes place at 6pm on Saturday, November 18th. Visit the Banff Lake Louise Tourism website for more information on the Santa Claus Parade of Lights. Visit the Banff Gondola! Enjoy mountain top dining with views over the Bow Valley, hike to the top of Sanson's Lookout, take photos on the roof top observation deck, and visit the new interpretive centre with many touch-friendly exhibits for the children. And, it's free to ride the gondola down if you hike the Sulphur Mountain Trail up. Just pick up a free one-way ticket down at the top. Enjoy a hike on one of Banff's easy trails. Some of our late fall favourites are the Sundance Trail, the Fenland Trail, and Stewart Canyon at Lake Minnewanka. Hike to the top of Tunnel Mountain, the easiest summit to reach in Banff. There are many outdoor ponds, lakes, and rinks in the Rockies that get cleared of snow and maintained by park or resort staff through the winter, usually starting mid to late December. 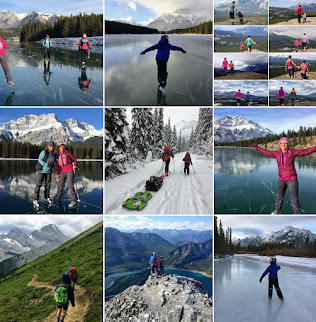 November however gives us a different experience where we can often experience "natural skating" on lakes that are not maintained or cleared of snow. We often get a brief window mid to late November where some mountain lakes have frozen (thick enough to skate on) without being snow covered yet. Some years, it never happens. Other years, we get a magical window where the ice on certain mountain lakes is smooth like glass and 100% snow free. Johnson Lake in Banff has always been one of the first lakes to freeze and my family has skated on it annually for the past 6 years now. And for those wondering, "how do I know if it's thick enough to skate on?" Or, "Is it safe?" - check out the Ice Safety information on the Town of Banff's website. By November I'm always longing for snow and would drive hours to find it. Fortunately, we don't actually have to go that far though because Highwood Pass is reached on the highest paved road in Canada, and gets a lot of early season snow! We head out to the Highwood Pass area mid to late November every year to go snowshoeing and to enjoy some backcountry sledding. I've written a LOT on this topic already so please visit these stories below on "November at Highwood Pass:"
And, make sure you get out by the end of the month. The road closes at the end of November and will be closed until late June next year. There is a very brief window to snowshoe up to Elbow Lake or Ptarmigan Cirque while you can still drive to the parking lots. Also, consult a Kananaskis visitor centre before heading up to Ptarmigan Cirque in November. There can be avalanche danger in this basin if you hike too far in. We always stop at the beginning of the cirque and don't hike any further back. Elbow Lake is the safer option as long as you stop at the lake and don't go exploring too much further. For those who enjoy downhill skiing, most resorts will open in November. Nakiska Ski Area is very excited to be the first ski hill in Canada opening for the season this year with a preview weekend set for November 4th and 5th. 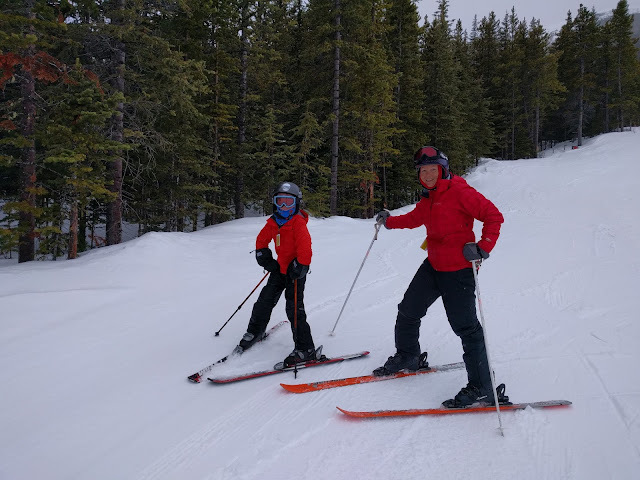 For inspiration, check out this recent story: 5 Reasons to Make Nakiska your Local Ski Hill this Winter. 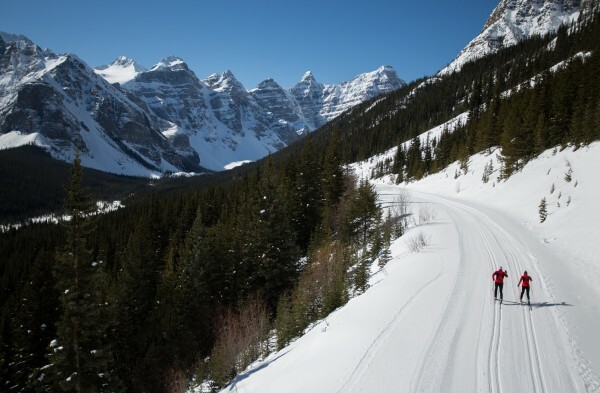 Visit the Parks Canada website to find out more about cross country skiing at Lake Louise. And check out this story as well - Family Cross Country Skiing at Lake Louise. Not bad for November skiing! Ski along the Pocaterra Ski Trail until you reach the junction with the Whiskeyjack Trail. From here you can continue on the Tyrwhitt Trail and up to the Lookout if you want. We did this outing last November and skied as far as the Tyrwhitt junction before returning. It was a short ski day (probably 6 km at most) but was perfect for a November trip. Note the trails will not be groomed or track set. This is natural early season skiing. Visit the Alberta Parks website for more information on the ski trails in Peter Lougheed Provincial Park. Frozen Thunder at the Canmore Nordic Centre. This trail is approximately 2 km in distance and is groomed/track set now. It is open to the public in the afternoons through the week or all day on weekends. Admission fees are charged. Kananaskis Village Ski Trails. While they won't likely be groomed or track set, it can still be fun to go for a short ski around the Terrace Loop in early November after a good dump of snow. West Bragg Creek Ski Trails. This is a nice close option, and I've skied here most years in November. Don't expect "amazing" snow or any grooming/track setting if you go too early, but in November it's just good to get out. The Cascade Valley in Banff. You can always ski up the Cascade Valley in Banff by mid-November. This old fire road requires very little snow to be enjoyed on skis and we almost always make our first trip out in November. The trail starts from the Lake Minnewanka Parking lot. For trail reports, trip reports, and the latest on where people are skiing, visit Skier Bob's website. 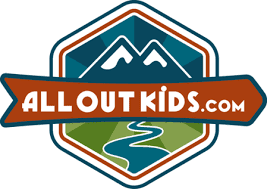 It is a phenomenal resource for the Kananaskis and Banff areas. My son received free riding at the B-Line Park so that I could promote their new business. We will also receive accommodations from Hosteling International and from Mount Engadine Lodge this month to assist with future trip writing and reviews. Finally, I will receive free skiing at Nakiska Ski Area this winter so that I can promote the Resorts of the Canadian Rockies for another winter, and as an Alberta Parks Ambassador, I will receive free skiing at the Canmore Nordic Centre this winter. As always, all opinions are my own and I have not been paid to promote any of the businesses in this story.